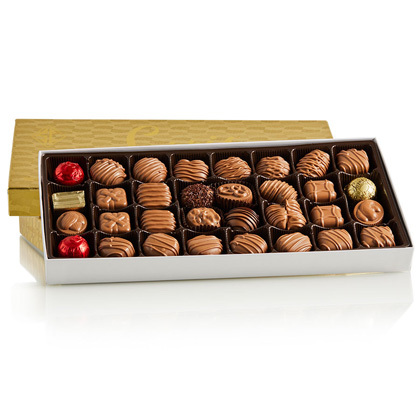 Need to personalize your chocolates? We have you covered! We offer custom stickers that can be created for any occasion. 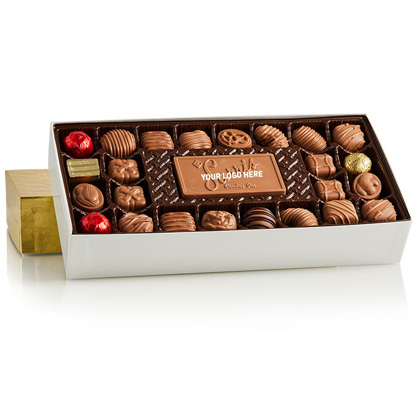 With multiple sizes and shapes to choose from, we can place them on any type of candy. Add your logo, name or personal gift message to a custom design created in house for that added personal touch. Call us today at 1-800-255-7771 to talk to our corporate customer service team. • A flat rate shipping of $10.95. $10.95 flat rate ground shipping is per address and limited to 20 lb. per shipment. • An additional 2% discount with your volume discount. Offers are subject to change at any time. Offers only valid on SarrisCorporate.com. 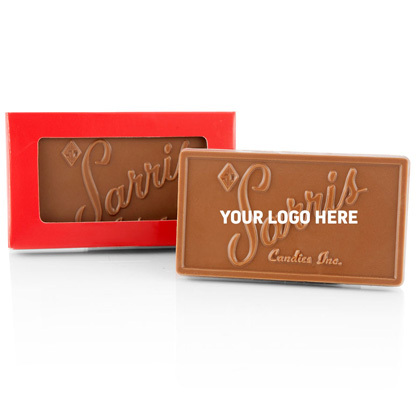 Offers not valid on SarrisCandies.com or SarrisCandiesFundraising.com. Delivery times and orders not guaranteed unless otherwise indicated. 32 pcs. | 1 lb. Many many thanks. I placed several orders yesterday to our clients. We order the VIP every year and folks love it. Sarris is the best!" I'm sure you all hear this all the time, but I wanted to let you know how many notes I got from clients to whom we sent your chocolates last week. 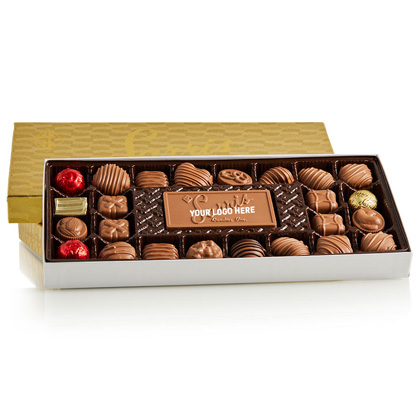 What struck me was not just the usual thank-yous, which were nice, but how many people raved about the quality of the cholocate -- and how much they really enjoyed it. (My brother said he hadn't enjoyed chocolate as much since his third-grade teacher brought some from Switzerland...). We continue to be VERY impressed with your product and company. 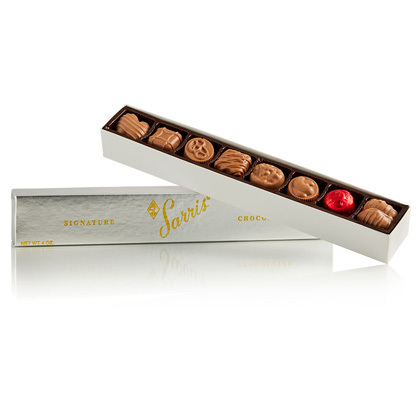 From the initial contact with you until now it has been easy and smooth working experience with Sarris Candies. I appreciate you taking the time to look at our product and suggest ideas to help make this project a success. If only every company was this easy! The Chocolate was a huge hit! Thank you so much. They looked great and tasted even better. 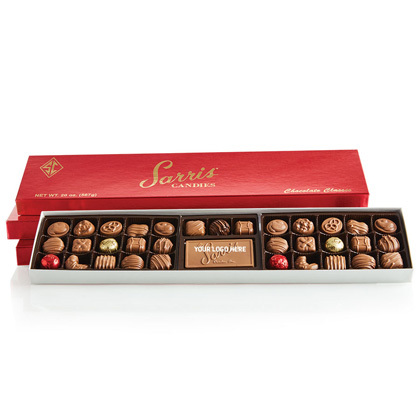 © Copyright 2019 by Sarris Candies Inc. All Rights Reserved.